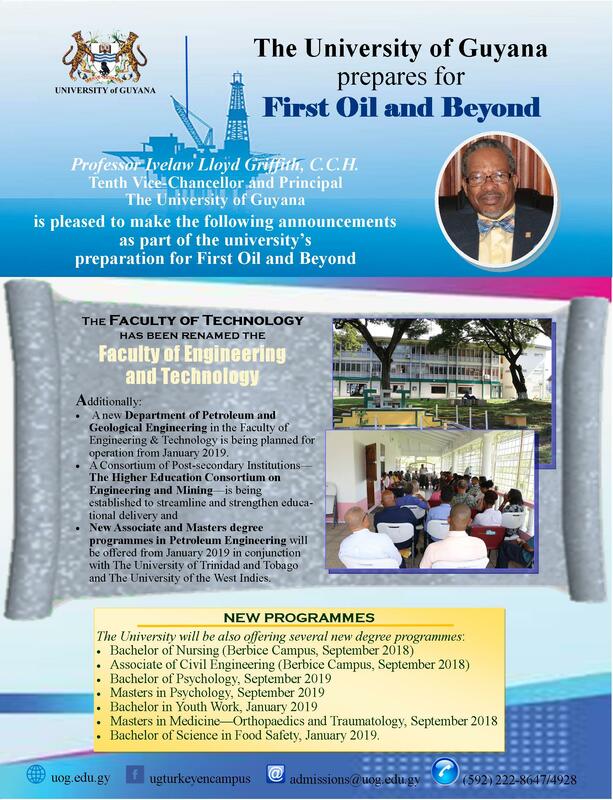 Professor Ivelaw Griffith, C.C.H, Tenth Vice-Chancellor and Principal of the University of Guyana is please to make the following announcements as part of the university's preparation for the First Oil and Beyond. A new department of Pertroleum and Geological Engineering in the Faculty of Engineering and Technology is being planned for operation from January 2019. New Associate and Masters degree programmes in Petroleum Engineering will be offered from January 2019 in conjunction with the University of Trinidad and Tobago and the University of the West Indies. The professor, who is an engineer with over 30 years experience in senior academic and administrative positions, also mentioned that developing and maintaining a category of skilled professionals is also very important. From this, he said that the developed personnel should be in place before and after production begins so that the country is not dependent on what is said by the oil companies. 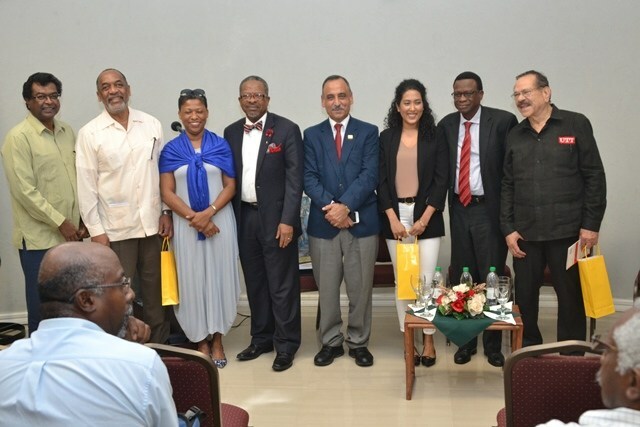 After the presentation, the conversation with the audience began featuring input from Al-Zubaidy, Trinidad and Tobago Methanol Company Chair in Petroleum Engineering Prof. Andrew Jupiter, University of the West Indies Professor Emeritus of Mechanical Engineering Clement Imbert, and retired US Department of Energy Engineer Dr. Vincent Adams. The conversation revolved around the investment in education which would, in turn, bring about long-term sustenance. It was also said that the government must get the best deals in any production sharing agreement and ensure that parts of these deals have a substantial contribution to education. 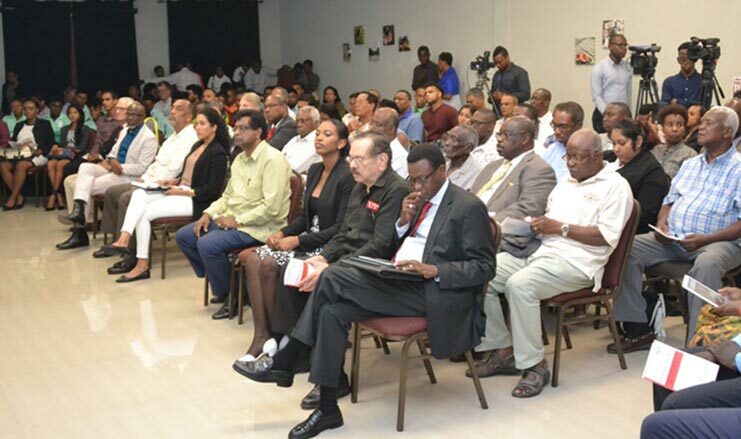 Guyana was encouraged by the professors to learn from their country’s failures. Finally, the country received the advice to not only look at the revenue from energy but look at diversifying the economy and not to forget about our other resources. The professor, who is an engineer with over 30 years’ experience in senior academic and administrative positions, also mentioned that developing and maintaining a category of skilled professionals is also very important. From this, he said that the developed personnel should be in place before and after production begins so that the country is not dependent on what is said by the oil companies. The conversation revolved around the investment in education which would, in turn, bring about long-term sustenance. It was also said that the government must get the best deals in any production sharing agreement and ensure that parts of these deals have a substantial contribution to education. 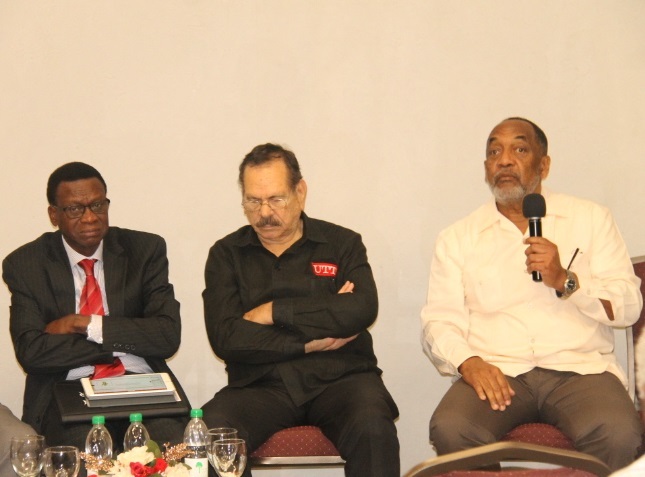 Guyana was encouraged by the Trinidad professors to learn from their country’s failures. Finally, the country received the advice to not only look at the revenue from energy but look at diversifying the economy and not forget about our other resources. UNIVERSITY of Guyana (UG) Faculty of Technology students along with other stakeholders including lecturers of the university on Wednesday participated in a two hour professional engagement seminar titled “an overview of the Liza Field Development Phase 1” facilitated by petroleum expert Lugard Layne. 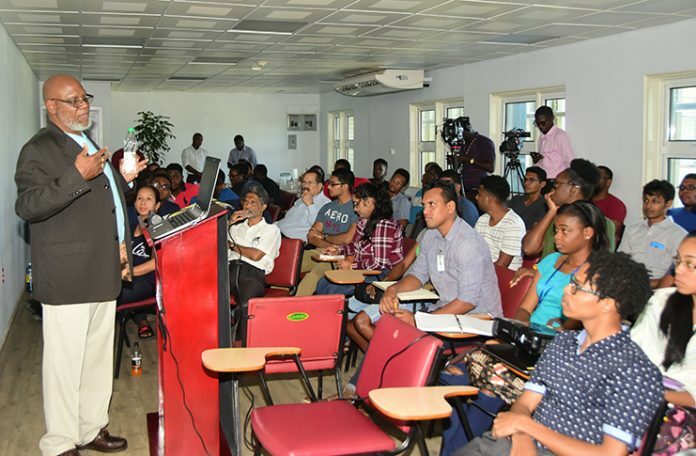 The discourse which was held in the boardroom of the Faculty of Technology saw Layne, a senior instructor on petroleum engineering at the University of Trinidad and Tobago, examining Phase 1 of the Liza Field development. In his presentation, the Guyanese lecturer who now resides in Trinidad said the government of Guyana needs to start its discourse on gas market utilisation now. He stressed the need for a gas market utilisation plan while adding that the natural gas industry can have significant benefits to Guyana. “Right now it is not in ExxonMobil’s interest to discuss gas utilisation but as a country we should be planning for when that day arises. I am saying that in terms of developing a gas market, the government of Guyana ought to be planning, not tomorrow, not next year; but those set of plans should be going right now. That is one of my concerns; I am not hearing a discourse on the gas market,” he said. In terms of the development of the gas market, Layne said it is not wise to reinvent the wheel. As such, he suggested a partnership which would allow the government to get initial counts on, aid in the marketing of the gas, how to negotiate the contracts and how to set up the infrastructure. It should be noted that Minister of Public Infrastructure, David Patterson has repeatedly made it clear that his government will not be rushed into any arrangement with respect to natural gas. The government had contracted Energy Narrative to conduct a study on the utilisation of natural gas for electricity generation. Guyana Chronicle understands that other companies are also exploring the prospect of utilising natural gas to meet the country’s energy needs. Wednesday’s discourse is part of a series of talks being facilitated by Vice-Chancellor of the University of Guyana, Professor Ivelaw Griffith. 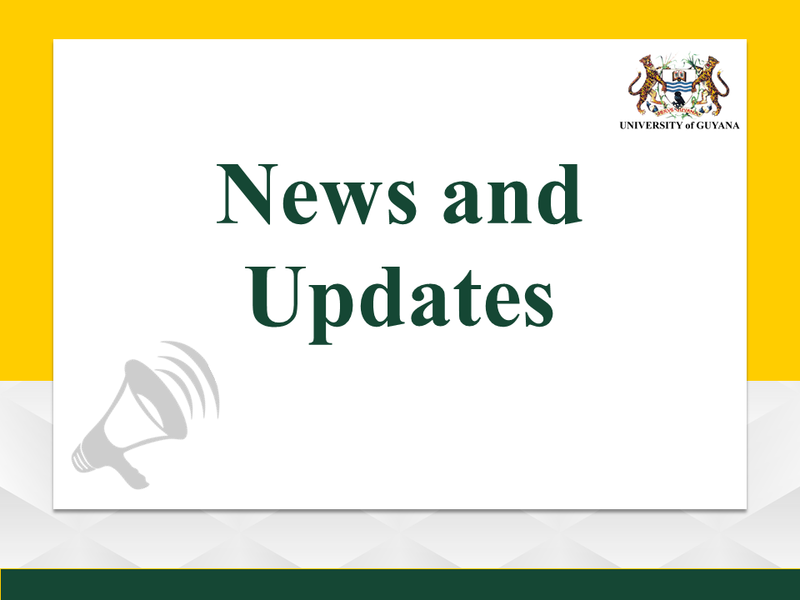 A significant portion of the $100 M grant which the University of Guyana secured last year as part of Government's effort to help the institution establish an Oil and Gas programme, has been expended. Last year, the Ministry of Natural Resources, the Geology and Mines Commission (GGMC) and the University of Guyana (UG) signed a Memorandum of Understanding (MOU) for a $100 million philanthropic education grant for the period 2017-2018. The grant provided the University of Guyana's, Faculty of Technology with much-needed equipment for its geology labs, curriculum development, training, outreach, and field research, all linked to the emerging oil and gas sector. It also provided specific allocations for all other faculties for student-centered enhancements at the university. Speaking about the programme, Vice Chancellor of UG Professor Ivelaw Griffith explained that this is one of the university's most significant grants, with the GGMC. Griffith said that it is an investment by the Government in the institution, in an area critical to the nation's economy. He said that the project is a result of UG long-standing relationship with GGMC. He highlighted the fact, that many of the commission's staff through scholarships has received their higher education at the institution. To date, 87% of the finances have been pumped into realising UG's oil and gas programme. Some $55M was used for equipment and supplies to the Faculty of Technology's laboratories, pursued by the GGMC, Some $10 M was expended on training; some $16M was for infrastructural projects through UG. When Natural Resources Minister, Raphael Trotman, handed over the first tranche of the funds ($45M) to the Vice Chancellor last year, he noted the government views the initiative as an investment in education, and development. 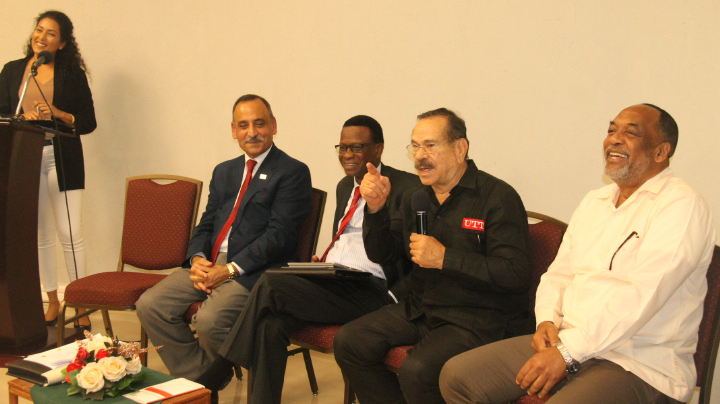 The minister noted that the project is significant since “it represents a renewed and enhanced relationship with the Ministry and GGMC with the University of Guyana,” even as the oil and gas sector develops. Additionally, Trotman said that similar efforts are also needed in the gold and diamond mining sectors as they will not be neglected in the period, post-2020 when oil production begins. “While the front-loading of contracts and the securing of large contracts might be politically popular it might prove to be economically disastrous, University of Guyana Business Professor Leyland Lucas has said in an article that seeks, in part, to respond to the popular argument touting the virtue of so-called front-loading, that is, the drawing down of significant cash amounts of as yet unearned income from the oil and gas industry. Lucas, who is serving as Visiting Professor at UG’s School of Entrepreneurship and Business Innovation (SEBI) says in his article that there could be pitfalls associated with the popular “up-front” or front-loading argument that has been steadily gaining traction among ordinary Guyanese. While alluding to what he says is “an interesting argument to the effect that Guyana would be better off “receiving a sizeable bonus rather than waiting for later disbursements through royalties”, Professor Lucas argues that such an option is not without its potential dangers and pitfalls. He argues that while the “numbers” being touted in the front-loading argument “vary from the well-reasoned to the pie-in-the-sky estimates,” there is need to examine the domestic realities. “We are a nation with various needs from education to infrastructure. To address those needs we will require a significant influx of financial resources…..however, if that influx is not regulated it will cause inflationary pressures” which pressures, he argues, will not only precipitate “massive inflationary pressures” that are likely to further damage the country’s economy but lead to a further decline in living standards. In his article the Guyanese academic also weighs in on the subject of the controversy that has arisen over the Exxon Mobil contract including the call in some quarters for a re-negotiation of the agreement. Lucas argues that the controversy associated with the current contract cannot ignore the fact that a contract previously existed. How do we renegotiate this contract?…Moves and counter-moves will only make sense if one party has something that is vital to the other and can force the latter to respond to the actions of the former. In this case we have a product that the world wants but does not need. Any moves by our negotiators can be easily ignored. Consequently, it makes no sense to renegotiate a contract from a position of weakness…We do not own the wells, we do not have the skills necessary to exploit them and we do not have the technology to provide the value-added products. In fact, truth be told, at this stage we are struggling to meet Local Content requirements. One cannot renegotiate a contract from a position of future possibilities, but must do so within the current context. So any conversations of renegotiation will take place from a position of weakness rather than one of strength,” Lucas declared.